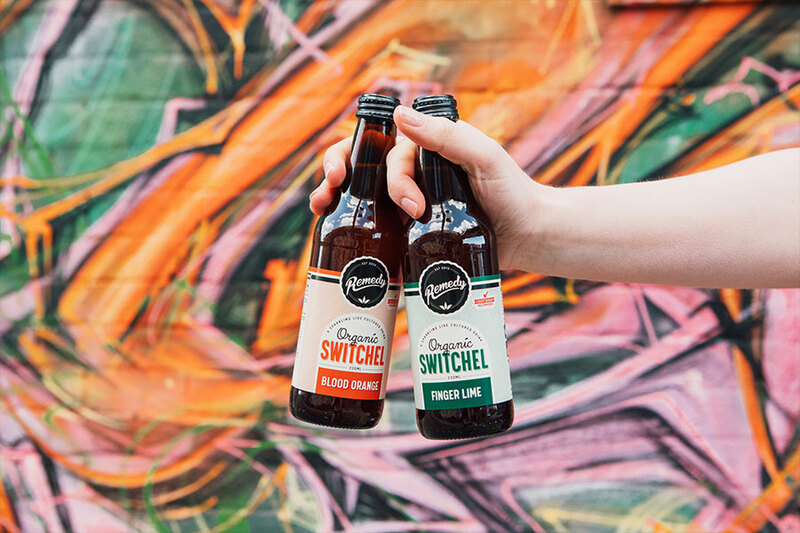 Switchel the newest member of the Remedy family. But it’s not really all that new. It’s actually kinda old school. 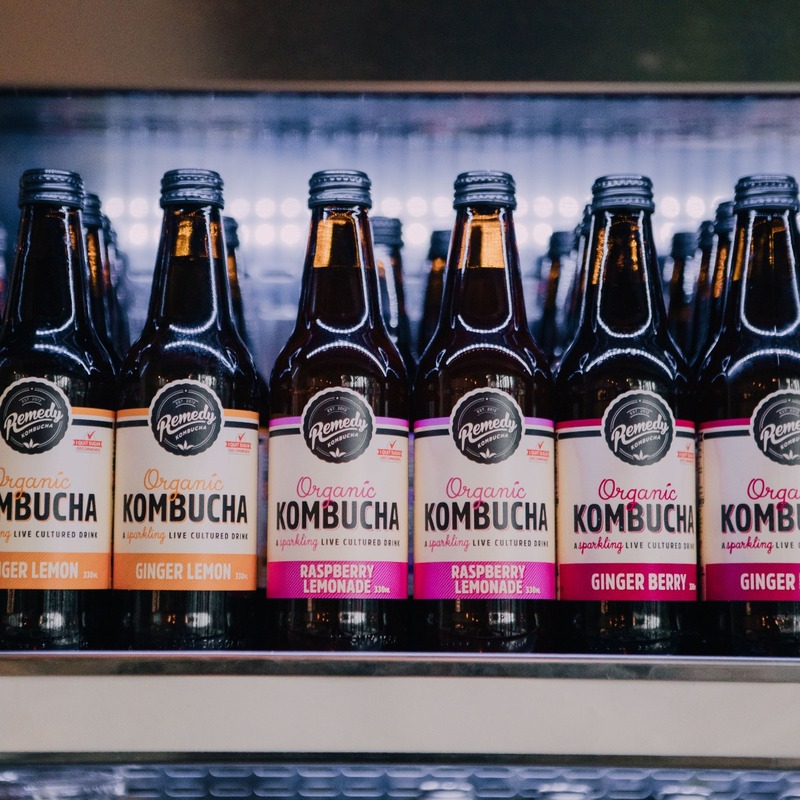 It’s fizzy, a little fiery and super refreshing, made with a base of raw organic apple cider vinegar and fresh organic ginger. And like all Remedy drinks, it naturally contains no sugar. Now the year is coming to a close and we’re right in the midst of the festive season, let’s not lose touch of all the hard work we’ve put into 2018. So let’s finish it with a bang, celebrate and feast on all great things plant-based too. Want to know how? Read on friends! Q: What do you get when you cross a kangaroo with a vegan coeliac? 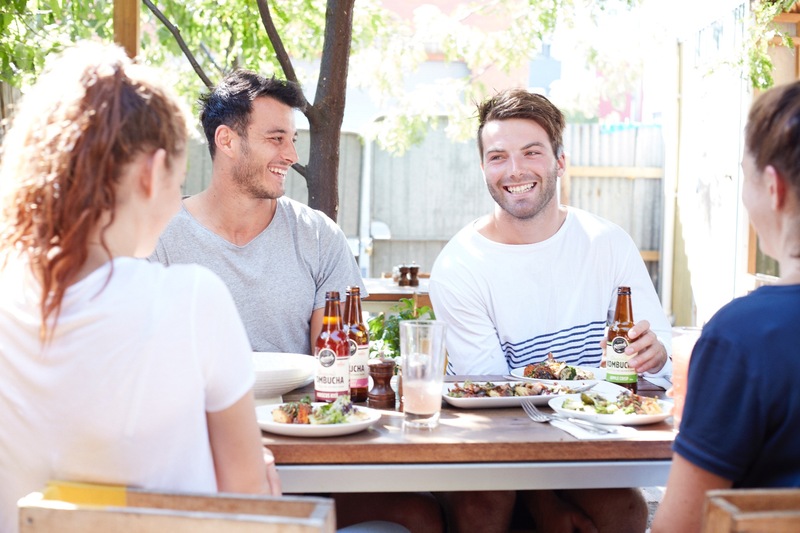 A: One of the AFL's leading goal kickers and big time Remedy lover, Ben Brown! 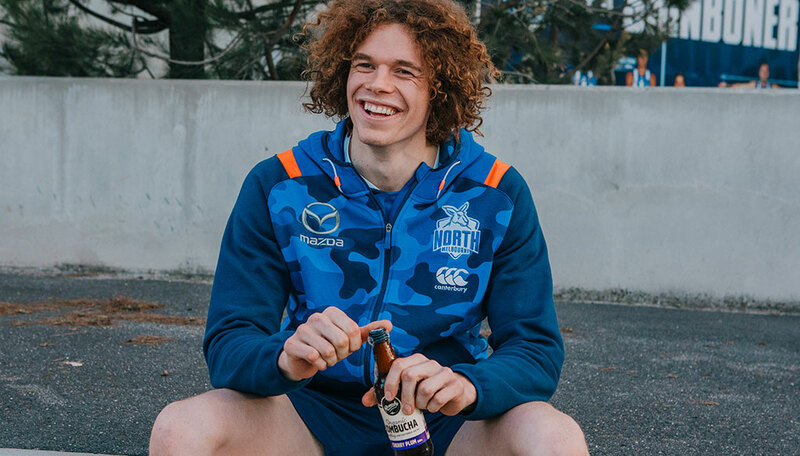 We caught up with Ben to find out more about his daily routine, how he manages following a vegan, gluten-free diet with being a professional athlete. If you're on this website, chances are you are one. If not you definitely know one. What are we on about? 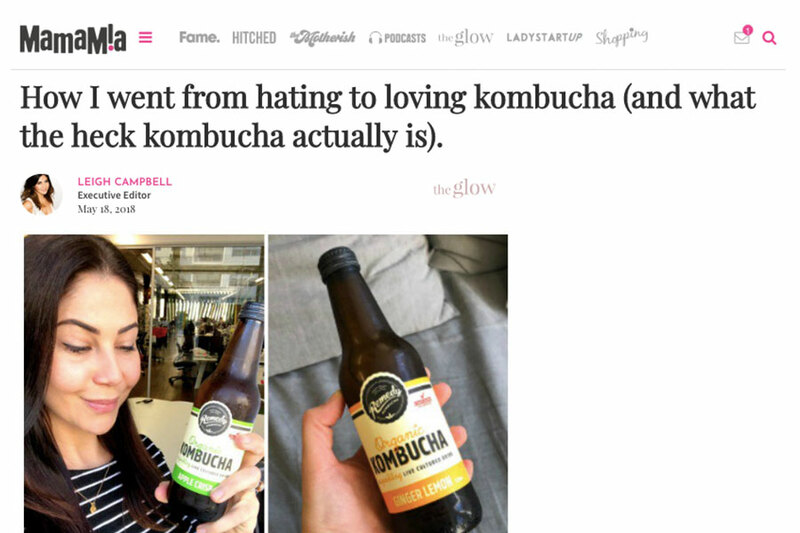 Types of kombucha drinkers of course. Pedestrian TV have done the research and narrowed them down to six types. When you sit to eat your meal are you comfortable or anxious about how it’s going to make you feel? Do you take it slowly and chew each mouthful or inhale it? Do you wonder why your digestive system doesn’t feel quite right? Do you know how to create a meal that can ease the pressure of digestion and work on healing your gut? It may take no convincing to ask you to eat a few more berries, they’re sweet, delicious little bursts of nutrition but ginger on the other hand can be a touch trickier. By contrast to the sweet delight that is the berry family, ginger is strong in flavour with a zing and kick. And, whilst we know berries are some of the richest known sources of antioxidants to protect our bodies from the effects of stress, illness and well, let’s face it life in general, our ginger nutrient factoids might be a little rusty. 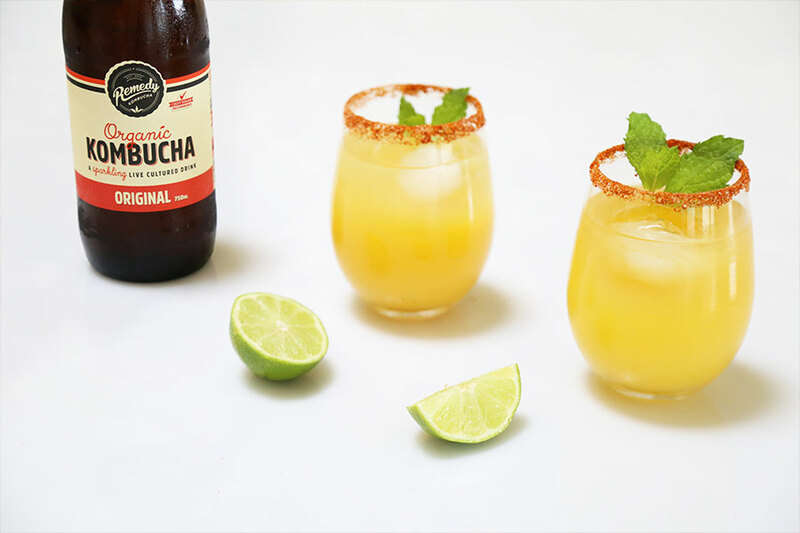 If you haven't worked it out for yourself yet, kombucha cocktails (and mocktails) are very much a thing. You know what we don't love, though? Sugar. There’s no use denying it. We all love a good snoop. And while we certainly aren’t innocent of falling down a rabbit-hole of on an old flame’s insta account or losing a couple of hours trawling for interior inspo on design blog home tours, here at Team Remedy our fave place to snoop is… a fridge. 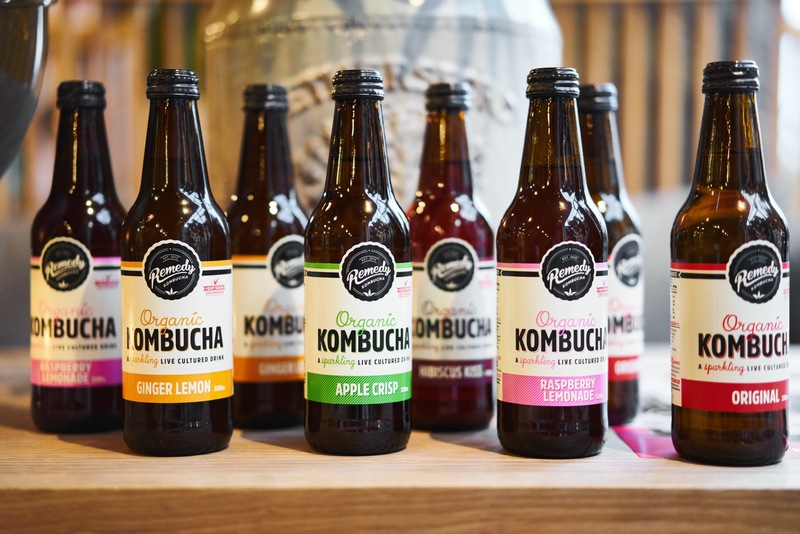 Can Dave Hughes convert some more Remedy Kombucha fans? 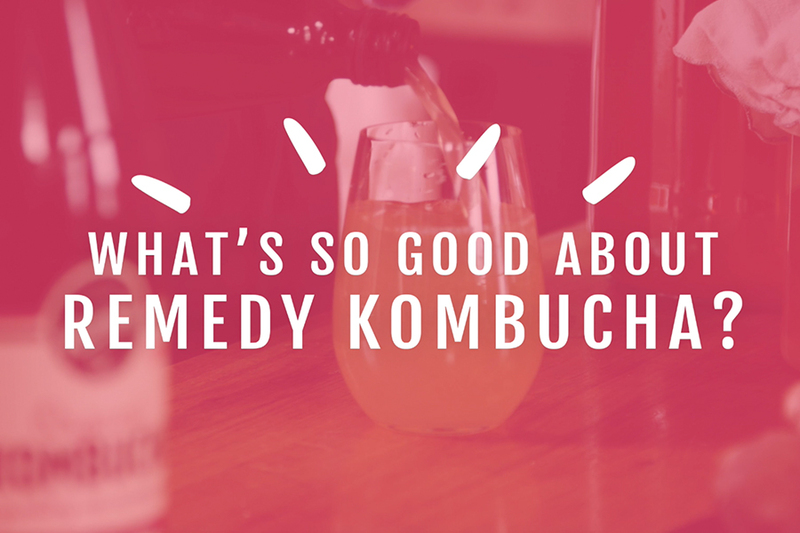 Aussie comedy legend Hughesy is BACK spruiking Remedy Kombucha! Safe to say he loves the stuff. Can he convert some more fans? Watch and see. Why did Hughesy cross the road? 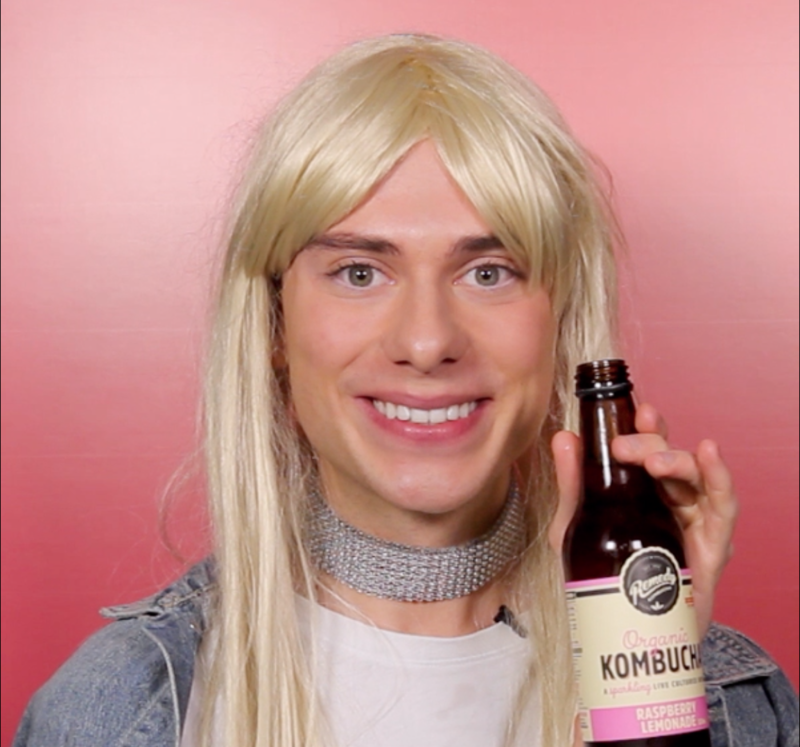 ... To give away another tasty, healthy Remedy Kombucha. True story! 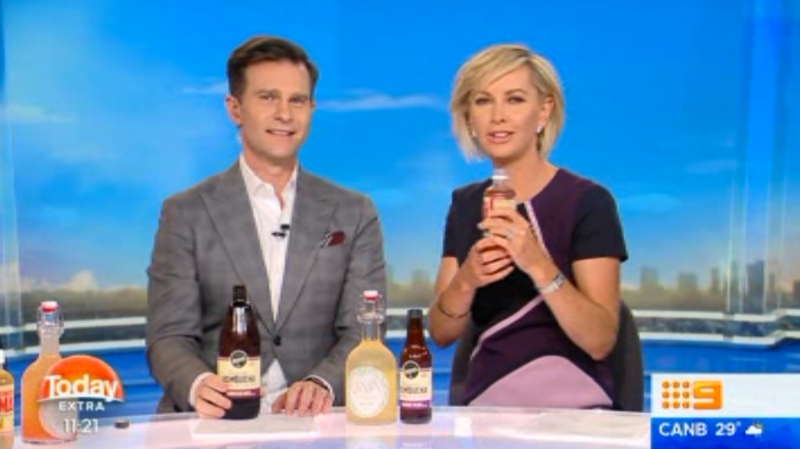 Comedy legend Dave Hughes is back on the streets of Melbourne, Australia, getting people to taste test Remedy Kombucha. Hughesy reckons this healthy drink is damn tasty. Will the people agree? Brace yourselves, babes. 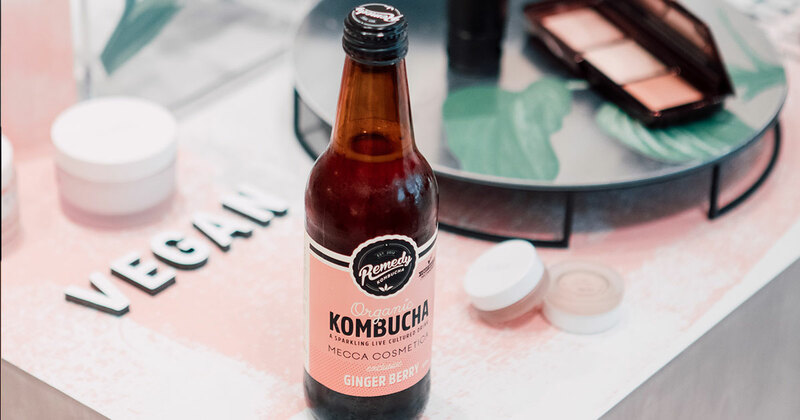 We're dropping a brand new, extra spesh, limited-edition Remedy Kombucha flavour in collaboration with the best in the beauty biz: Mecca Cosmetica. And we’re giving it away. Complimentary. No charge. On the house. For one weekend only. For real. When we say limited edition, we mean limited edition. 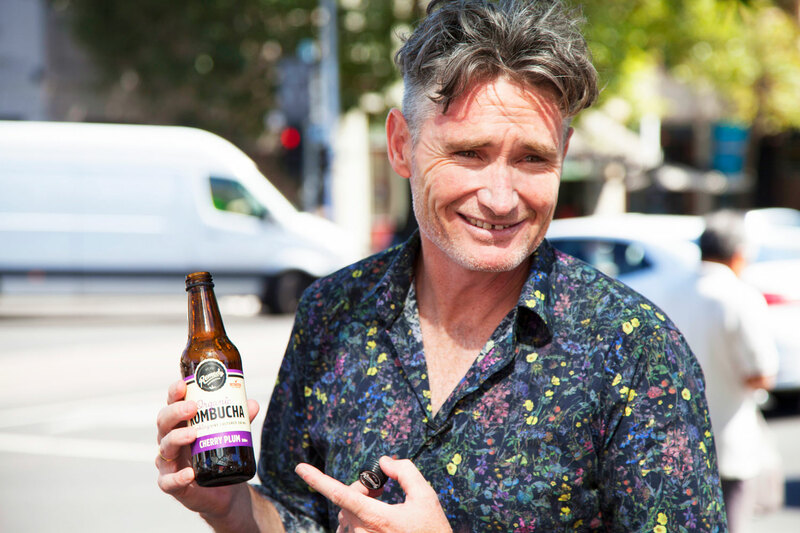 Our mate Hughesy (aka comedy legend Dave Hughes) hit the streets to spruik Remedy Kombucha. Watch what happened. Moana Hope doesn't like being called a role model. But she's damn happy if she can inspire people to be true to themselves. "I'm somebody that's playing a game I love, and if there's young kids or adults that look up to me for that, then that's pretty awesome. 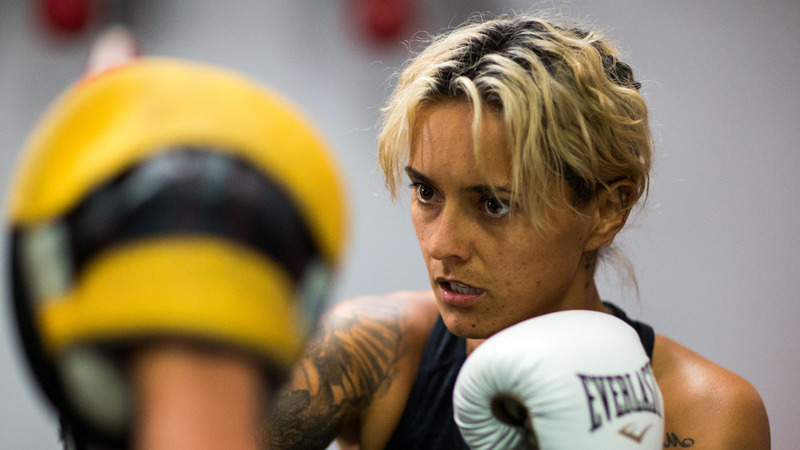 When the AFL Women's competition launched last year, we didn't think twice about who we wanted on our team: Moana Hope. Sure, she's an amazing athlete. Yeah, she was the first chick to kick 100 goals in a season in the VFL. OK, so she was drafted as a marquee player by Collingwood. But what we loved most was her story; her commitment; her passion; and her relatable, keepin’ it real attitude. 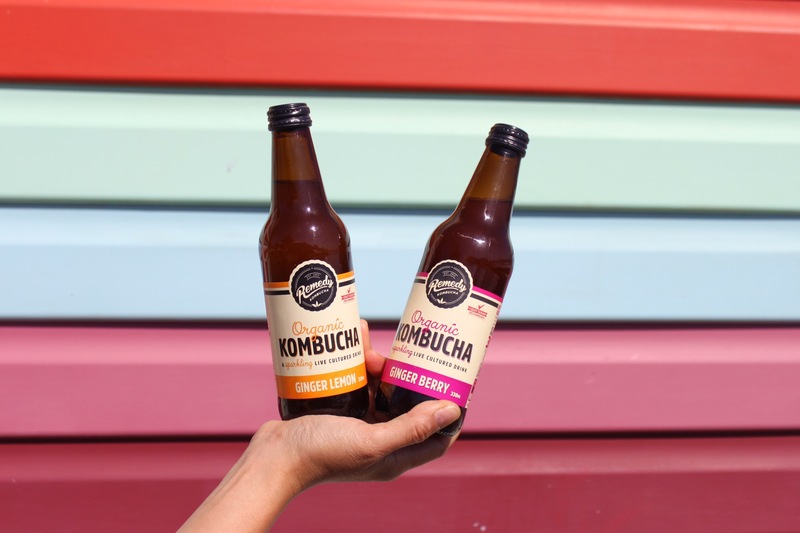 Today Extra: Does kombucha live up to the hype-cha? We were chuffed to see Remedy all over the small screen in a special little segment on Today Extra earlier this week. Forget life-changing diets. Living a healthier and happier life can be achieved through baby steps: a little switch-a-roo here and a swap-a-roonie there. 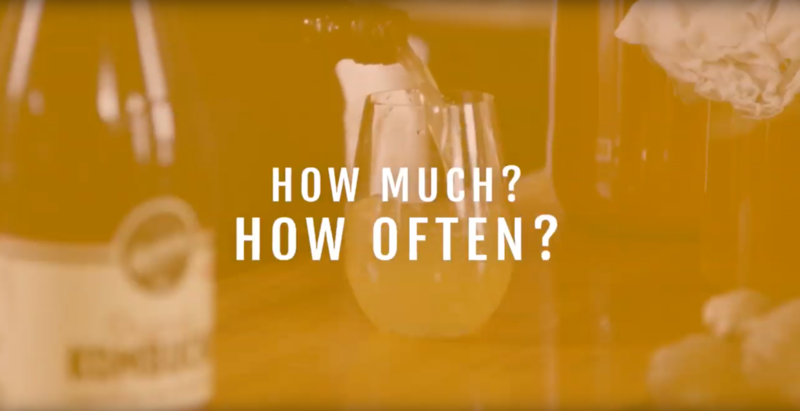 For example, with drinks it might be ditching a softie with your sushi and switching to a Remedy, or swapping some wine-time for a booch-break. Same goes for food. One of the simplest changes you can make is one we've all heard before: eat more veggies. Easy said, but not always easily done, we get it. 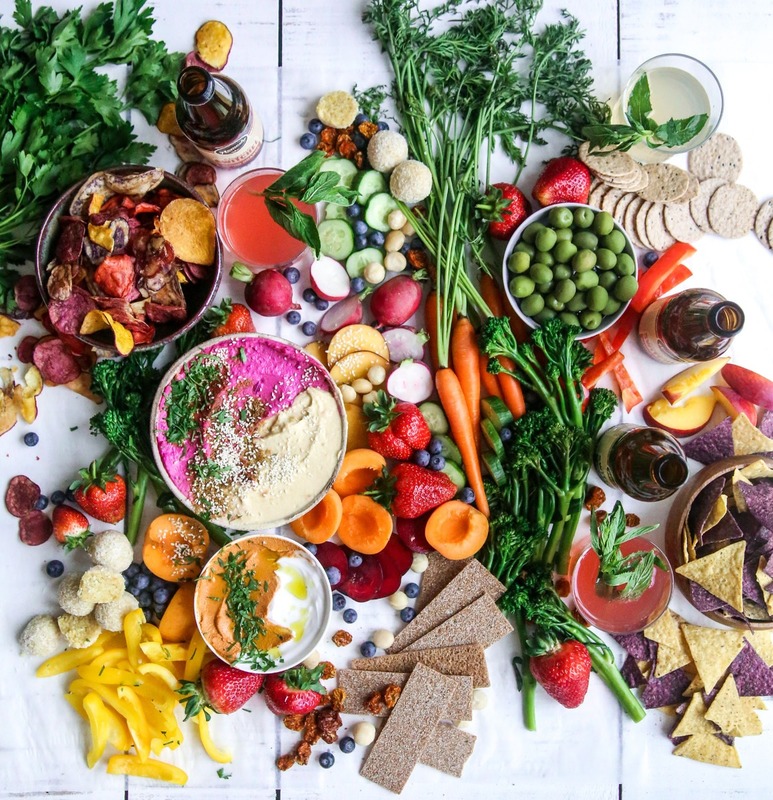 So we thought we'd share this handy guide from our Remedy Nutritionist, Jacqueline Alwill for upping your plant-based intake by swapping out meat for veggies. This post was originally published on Jacq's blog on her website The Brown Paper Bag. Pop over there for stacks of delicious recipes and advice on all things real healthy food and nutrition. Whether you’re a vegetarian or an avid meat eater, to be honest we can all do more eating of plants. However, it can be tricky if you’re not quite sure where to start right? Here are a few ideas for making your old favourites (burgers, lasagne, stews, eggs and bacon) without sacrificing flavour and certainly no jibbing on the nutrition either – plants are abundant! Lentils for the mince in a 1:1 swap (cooked lentils to raw mince). Grated veggies such as carrot, beetroot, parsnip and pumpkin, sauteed with herbs where mince was. Kidney bean – lentil, kidney and black bean all work a treat in vegetarian chilli with guacamole. Combos of root vegetables such as pumpkin, sweet potato or carrot with nuts including almonds and cashews to create a sustaining curry with a good combo of fats. Tempeh or organic tofu – you can now find soy free tempeh in lots of health food stores – I’ve come across Byron Bay Tempeh (tried the chickpea one) and their range is fab. Bean combinations again – lentils, chickpeas, butter beans as above – but don’t forget the beautiful dhals you can make using moong dhal, yellow or red split peas too! There are a few dhal recipes on the Brown Paper Bag blog here. Creamy dressings – go for simple vinegar and oil based, or those made with coconut or natural yoghurt (if not vegan), avocado, nut butters and tahini make for delicious dressings too. And a final word, if your intention is to move more toward vegetarianism but you still find yourself craving a steak, or lamb cutlets, don’t punish yourself and feel guilt, perhaps a flexible approach (flexitarian) is for you? Better to feel relaxed and content eating than anxious. Images by Jacqueline Alwill for The Brown Paper Bag. 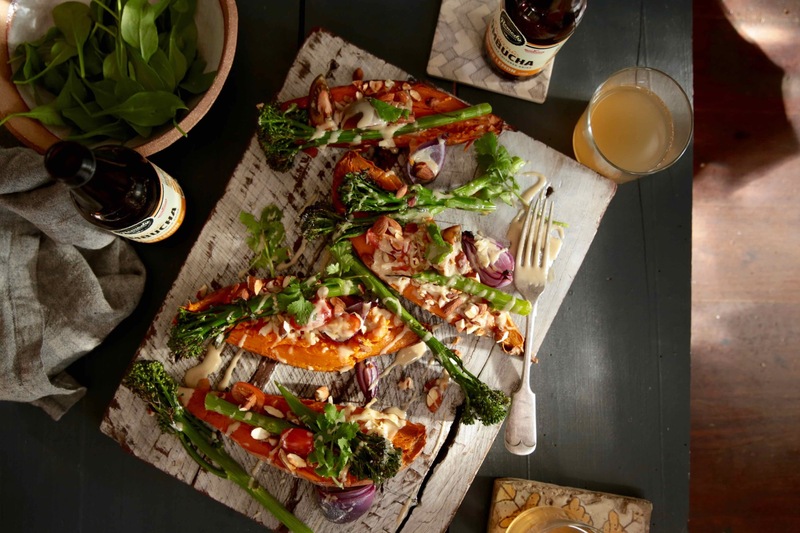 Christmas and the summer party season is a minefield if you're trying to stay healthy. First, there's the food: the chocolate gifts; the fried party food; the moreish nibbles; the all-you-can-eat buffet style meals. Urgh, so good. Yet, so bad. Then there's the DRINKS. Every occasion seems to come with a reason to say cheers. 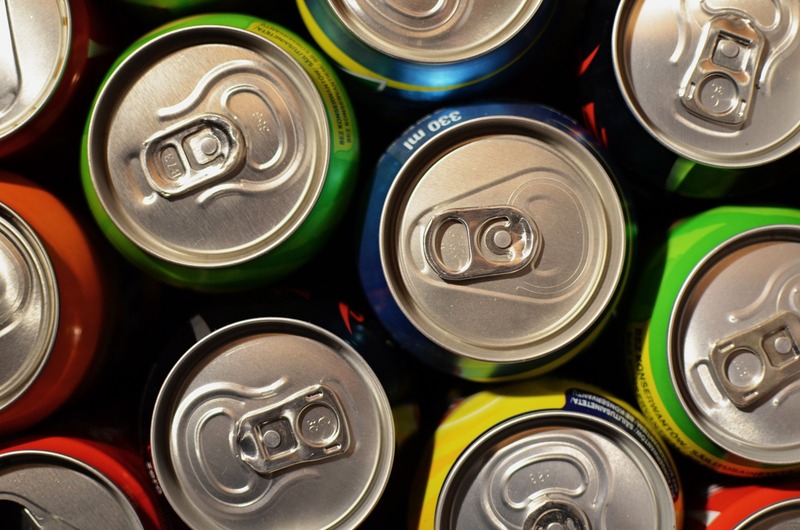 But if you don't drink, trying to avoid alcohol or just need a night off, the non-boozy options are usually sugar bombs, tasteless or downright boring (another sparkling water, anyone?). If there’s one thing that makes healthy living harder than booze during the silly season, it’s food. 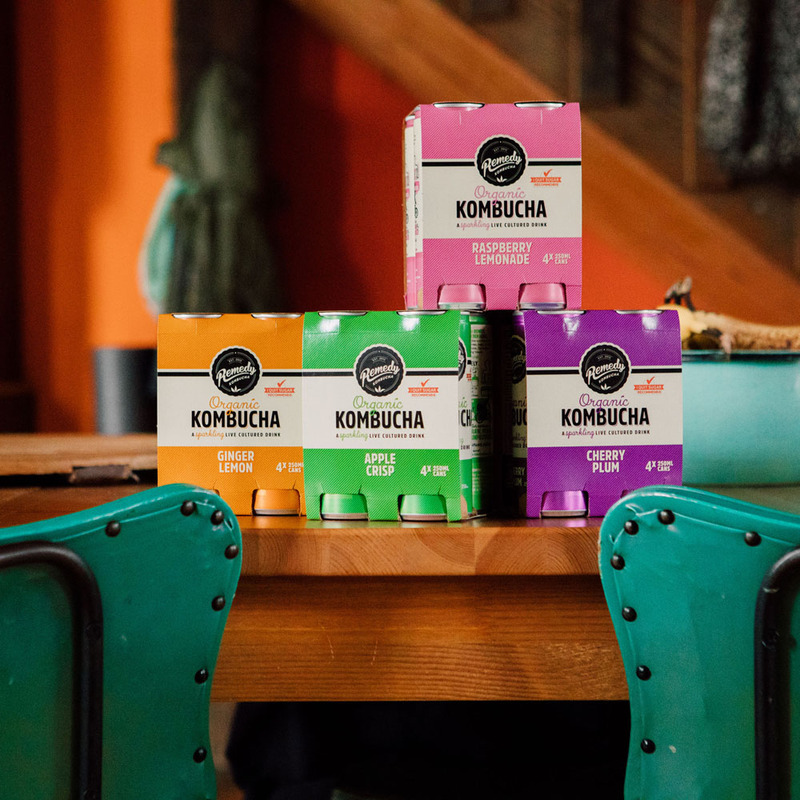 Kombucha aids digestion and improves gut health by balancing out bad bacteria with lots of all-natural good stuff, thanks to live cultures and organic acids and digestive enzymes. 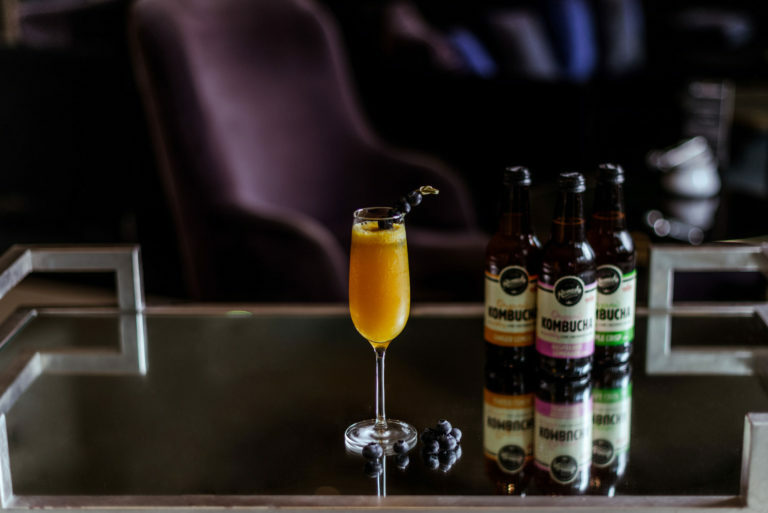 While it will never fully cure a hangover, if you do slip up and are a feeling a little under the weather, Remedy is a good choice for the next day's recovery. One of the causes of hangover symptoms is the release of free radicals in your liver. 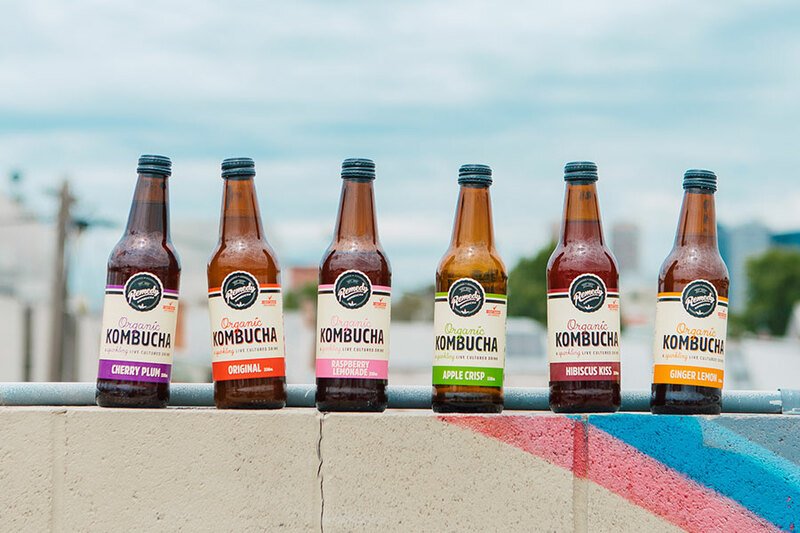 Our kombucha is teeming with naturally occurring polyphenols – nutrients which are rich in antioxidants that scavenge for free radicals in the body and prevent them from causing cell damage. If you do party a little too hard and need a boost the next day, reach of a Remedy rather than a coffee or softie. 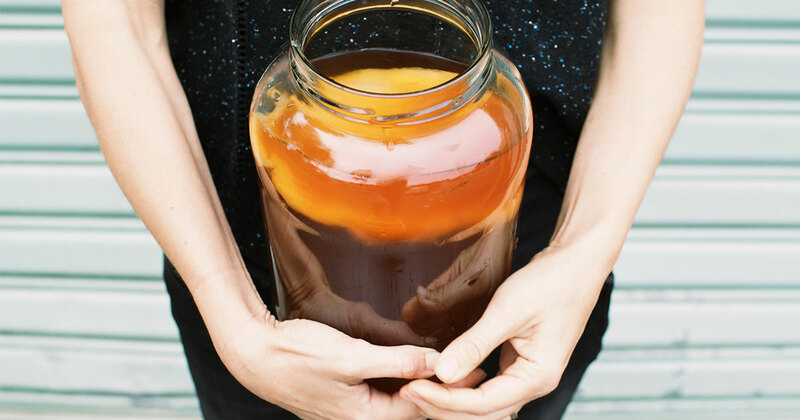 Kombucha provides a natural energy boost without crash and burn of caffeine or sugar. The natural organic acids in Remedy are proven to help regulate your appetite. There is also growing body of evidence that naturally occurring live cultures, good bacteria and other microbes in the body can boost your metabolism and influence weight. Cherry Plum: Pop it like it's hot. Team Remedy is beyond excited. And it’s not just because the weather is warming up and we are hanging out for some beach, banana lounge and booch time. Although this is also true. 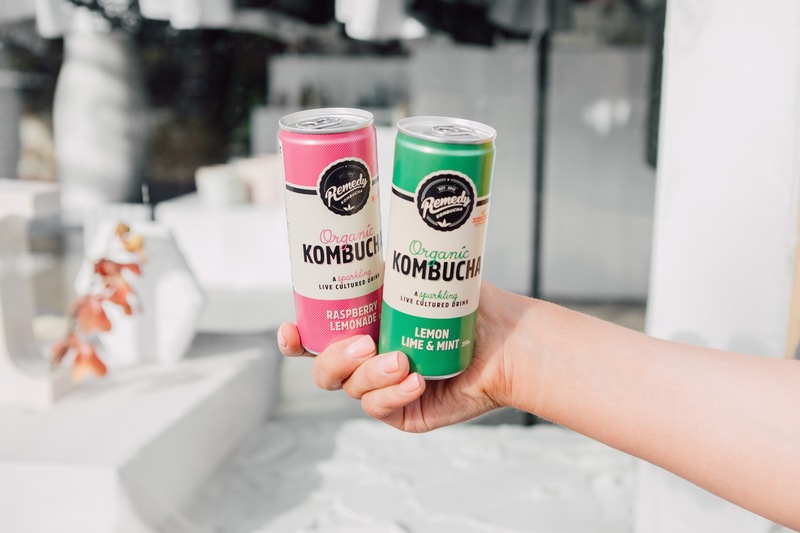 The reason we are jumping out of our booch loving skins our brand spankin' new extra-special, ridiculously-delicious, fancy-pants NEW flavour. 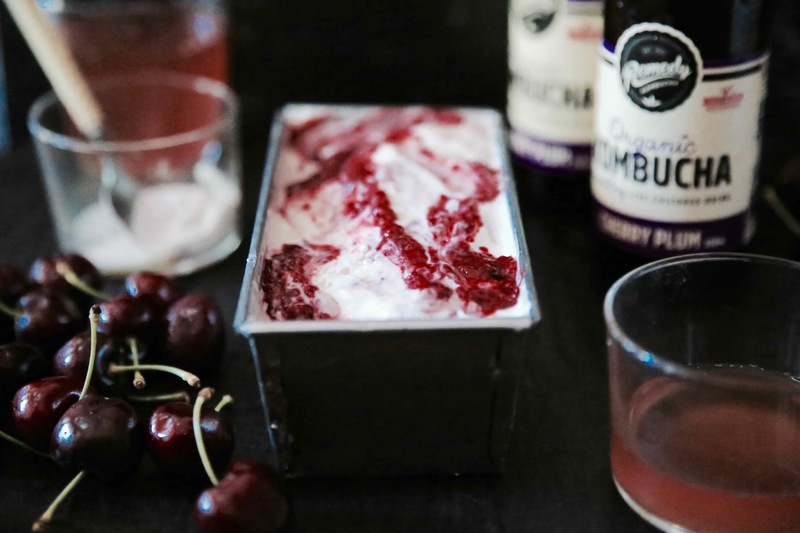 Meet your new Remedy BFF: Cherry Plum. 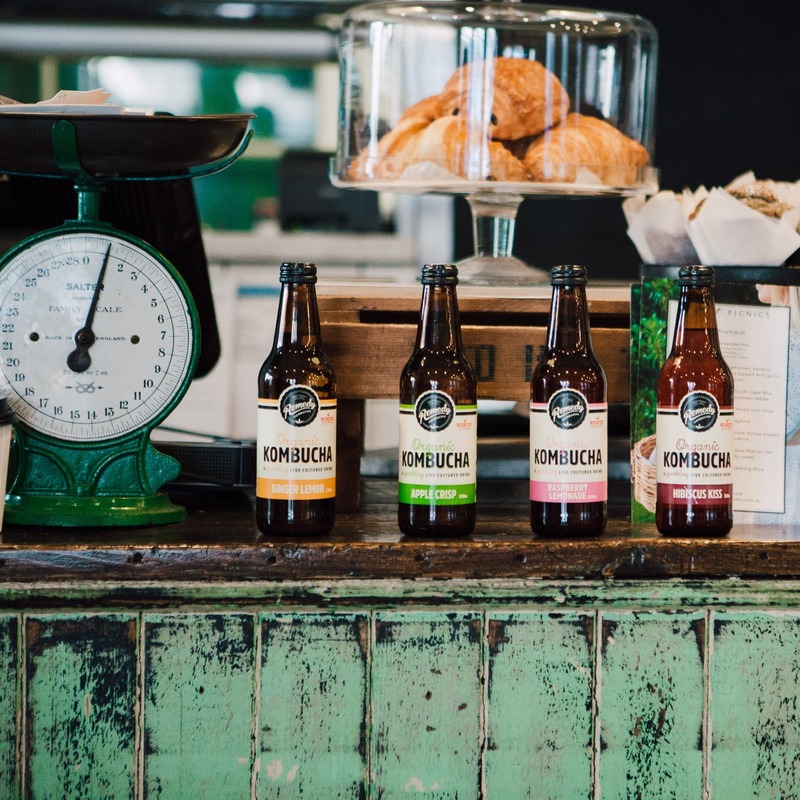 Forget the cherry on top, we’ve packed the flavour of a whole punnet of them inside each bottle to craft a guilt-free treat you can enjoy all year round. 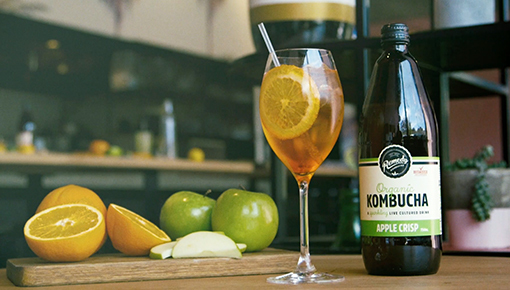 Paired with native Aussie Kakadu plum, the result is fruity, floral and freakin’ refreshing. 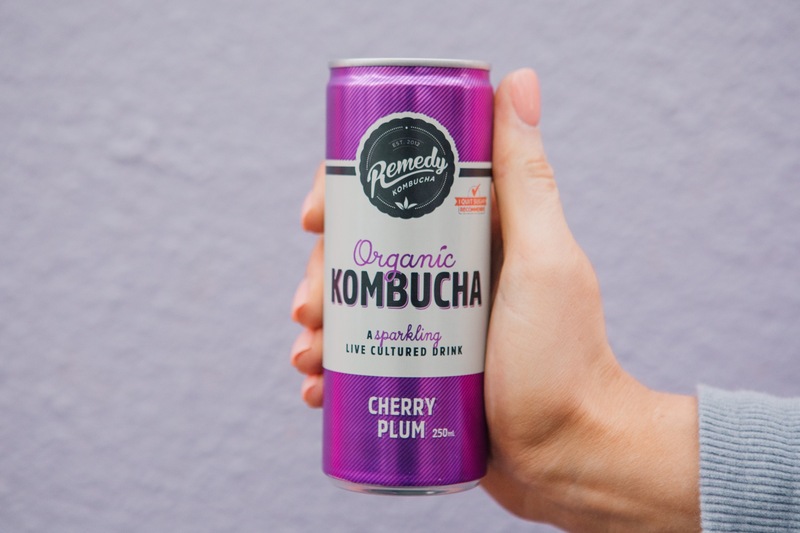 Like all Remedy drinks, Cherry Plum is the real deal: all natural, certified organic,I Quit Sugar approved and chock full of gut-loving, live-cultured goodness. No naughty. All nice. Did you hear that, Santa? 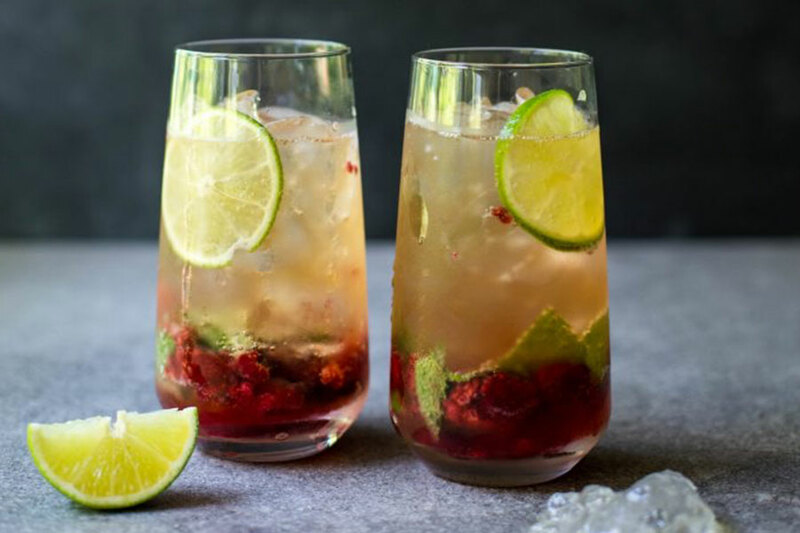 Enjoy it straight up for maximum refreshment or maybe even add a splash of some extra festive cheer (wink, wink). 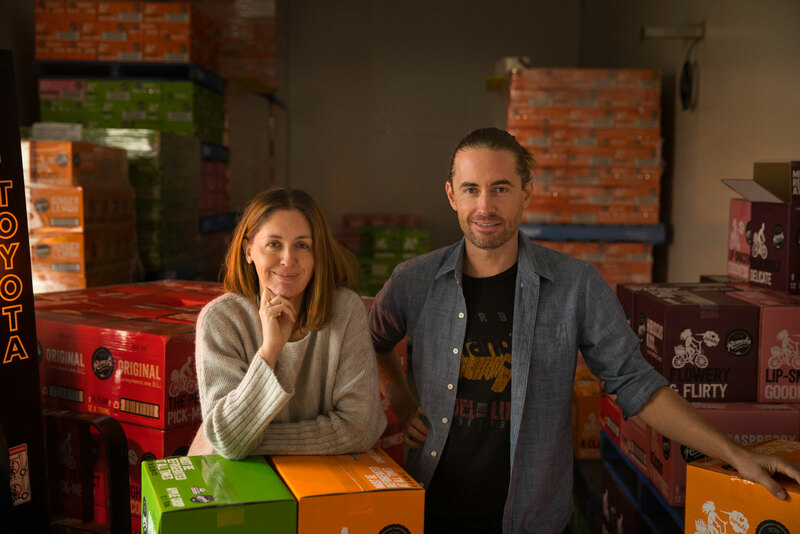 Cherry Plum is currently rolling out into our amazing band of independent supermarkets, grocers, health food stores, gyms, cafes and other independent stockists around Australia. Stay tuned NZ! Find your nearest Remedy dealer here. 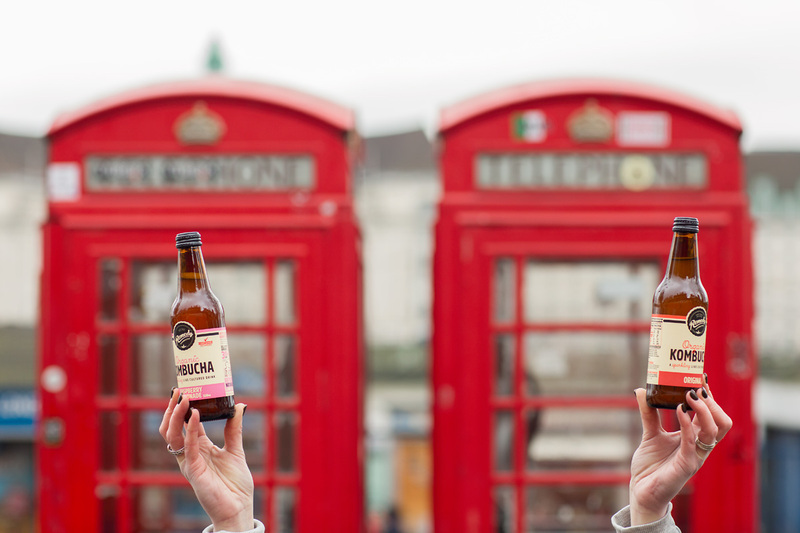 If they don't have Cherry Plum on the shelf, let them know you're gagging to try it! Seriously, we love Mo’s guts. She is not only an amazing athlete but an even more amazing and inspirational person. We love her relatable, down to earth attitude. 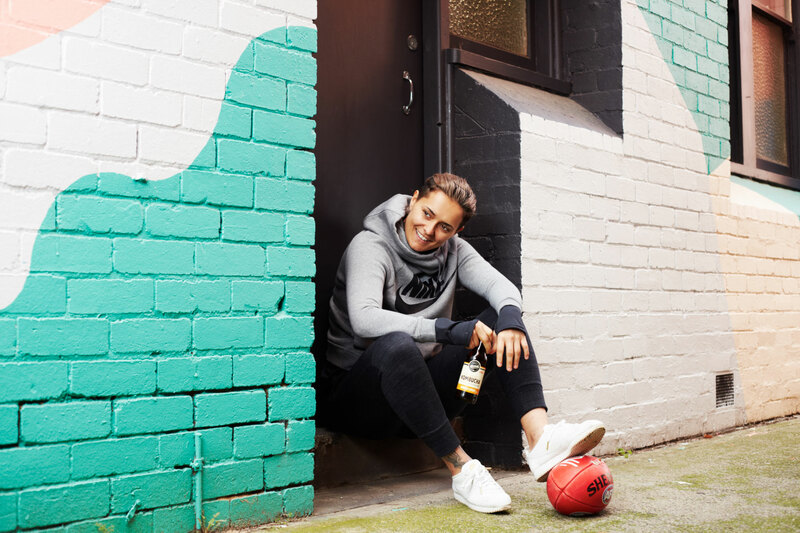 She’s all about keeping it real and spreading the word that footy is for everyone, and now she’s also helping us spread the word that Remedy is for everyone, too! We're so lucky to have Remedy Nutritionist, Jacqueline Alwill on hand to offer guidance and advice on all things health and nutrition. But we're all about sharing the love around here, so don't think we're going to keep all of her top tips to ourselves! One of our favourites is this hit list for your shopping list to help you get through the next flu season unscathed. When the winter hits I have the pantry and fridge loaded with all my remedies to ward off any of those winter beasts (read : sickness) and even the hint of a sniffle. It’s a kitchen stock up, protocol if you will, I’ve used with lots of families and individuals whom I’ve treated in my nutrition practice too. We have an abundance of incredibly nutritious foods at our fingertips that we can use as our medicine, so there is no reason we shouldn’t right? Top the list, because they feed and fuel the bacteria in our gut so we can thrive. In nutrition we learnt first and foremost, (and as you may be understanding increasingly as it comes into the media spotlight – hurrah!) the gut is the seat of our health. If we attend to the integrity of our gut, health, energy and vitality flows. 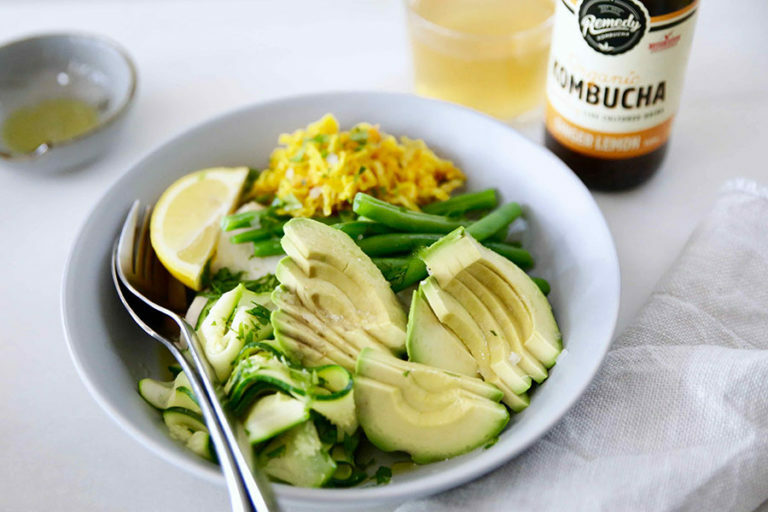 Fermented foods come into play because they are the richest food sources of pre and probiotics (a team of gut feeders) and enzymes. We need these nutrients not only to feed the good bacteria in our gut, but so our bodies can then combat the bad bacteria we come into contact with increasingly over winter. What many people do however is go through winter, unprepared until they get sick, then after 2 weeks feeling rotten, a trip to the doctor and a course of antibiotics, decide they’ll turn to their kitchen and food for support. If we flip this, we put ourselves in a much better position to avoid getting sick, doctors visits and the damage a course of antibiotics does to our liver and digestive system. 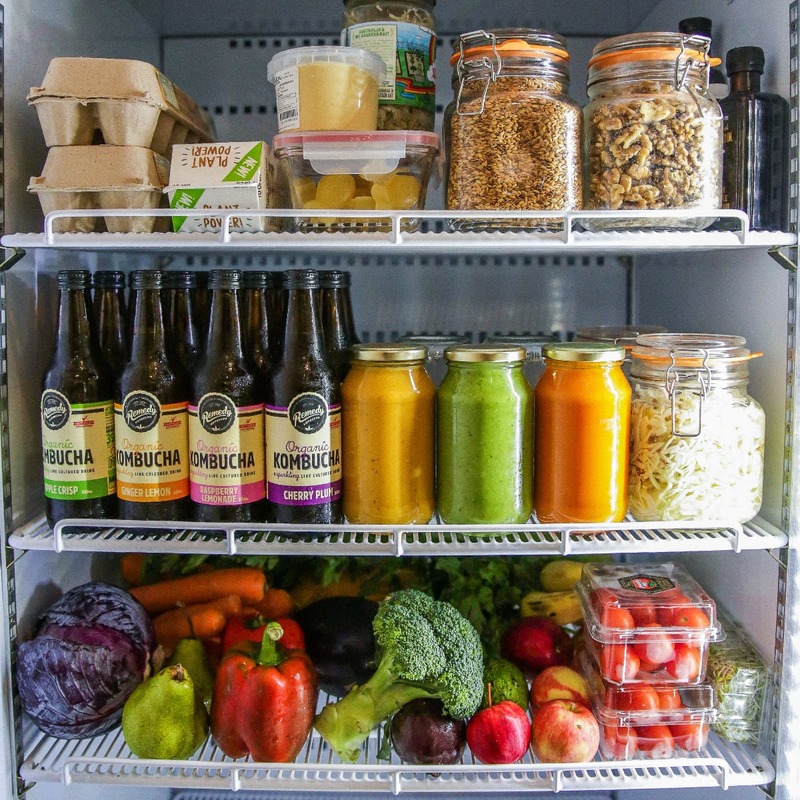 So when next you hit the grocery stores or however you do your shop, be sure to top up on the key fermented foods and integrate them daily to be one step ahead of the game. Remedy is my preference. 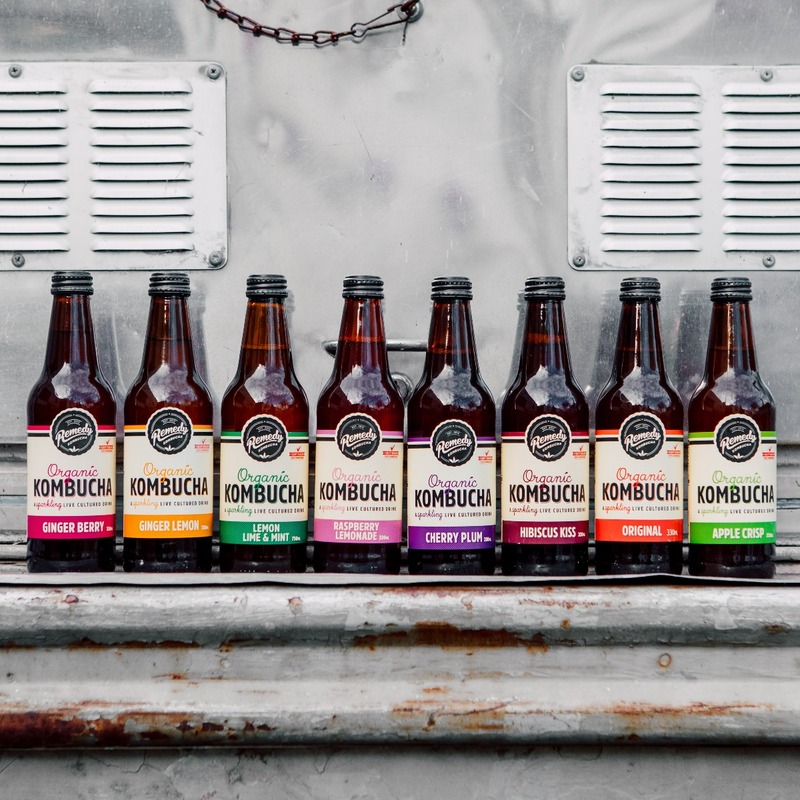 I’m a nutrition partner with Remedy Kombucha because the quality of their product is superior to other kombucha in the market. 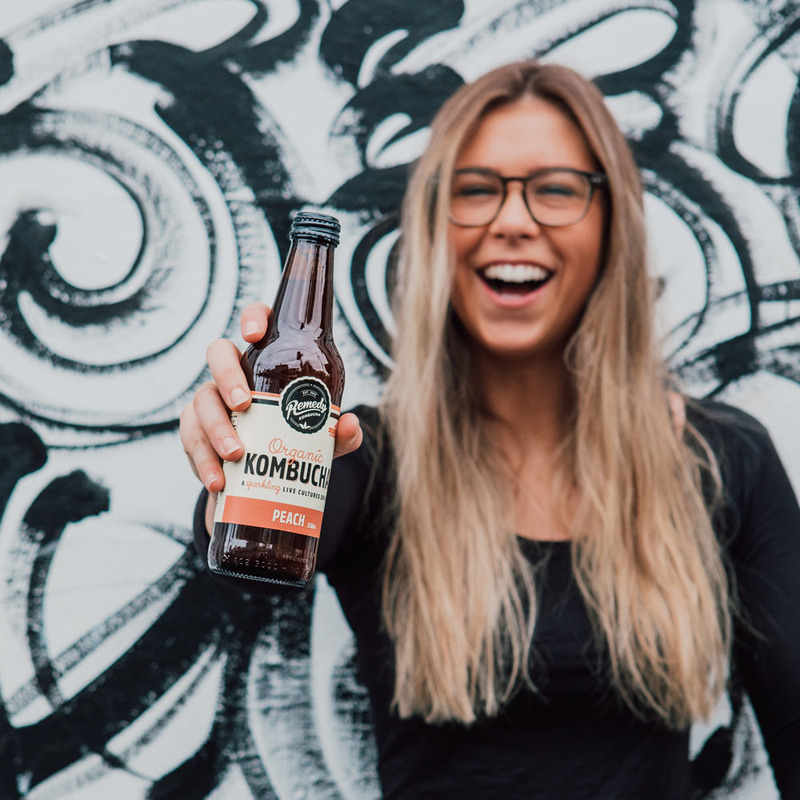 Not only is it the only kombucha brand in Australia to have close to 0g of sugar, (this comes as a result of their fermentation process) but Remedy are constantly testing, researching and increasing the quality and quantity of the live beneficial bacteria in their blend. Purchase these from the fridge of your health food store / independent grocer and aim for an organic brand. Integrate these into your diet daily if possible through fritters, wraps or simply on the side of your steamed veg, salad or soup. I’ve been known to have a small portion of kraut just on its own pre dinner as a snack, and I’m sure I’m not the only one. Is a heavenly little cup of warmth over the winter months and as a fermented soy bean is another great source of probiotics and enzymes. An oldie but a goodie – the citrus fruits! A few reasons why you want them sitting on hand and how to consume them as well. Citrus fruits are a seasonal winter fruit. Important stuff this eating for the season business and even more so as increasingly fruits and vegetables become available year round as a result of imports. Mother nature however recognises the change in season and enriches her produce – lemons, limes, oranges, grapefruit – with the vitamins we need including supercharged antioxidant, Vitamin C, in order to support our bodies and their fight against colds and flus! Eat them in winter! And, to note, I say eat as much as possible when it comes to the sweeter variety here such as oranges. Whilst it’s tempting to juice a bunch of oranges and have a big glass, the benefit to our bodies and extraction of vitamins actually comes through eating the whole fruit, including all the juicy fibre. Fibre for gut health, vitamins from the whole fruit and also so that we avoid the big dump of (fructose) sugar that comes from simply juicing. Lemons are a bend on the eat the whole fruit rule. Few of us would want to anyway. So with lemons aim to use them every day throughout these cold months. Wake with the juice of a lemon and some warm filtered water to cleanse, kickstart and fire up the vitamin and antioxidant status in your morning, squeeze liberally over salads and steamed vegetables, fish, chicken, you name it. Have the bowl of citrus as a source of nutrition in your kitchen always. 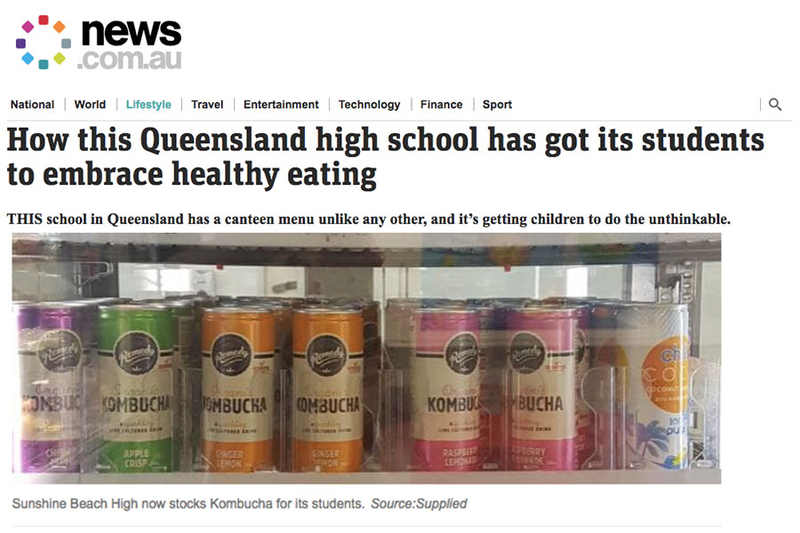 Up there with fermented tea (kombucha) as an old remedy (pardon the Remedy booch pun) used for restoring the body to good health. As we now readily have many brands of beautiful organic bone broths available to us, you can purchase and keep in the fridge or freezer should the time not be available to slow cook your own. And that’s perfectly fine. We do not all have hours on a weekend to spend simmering away, when you can do so, but if it doesn’t allow aim for high quality that will deliver a broth rich in nutrition. 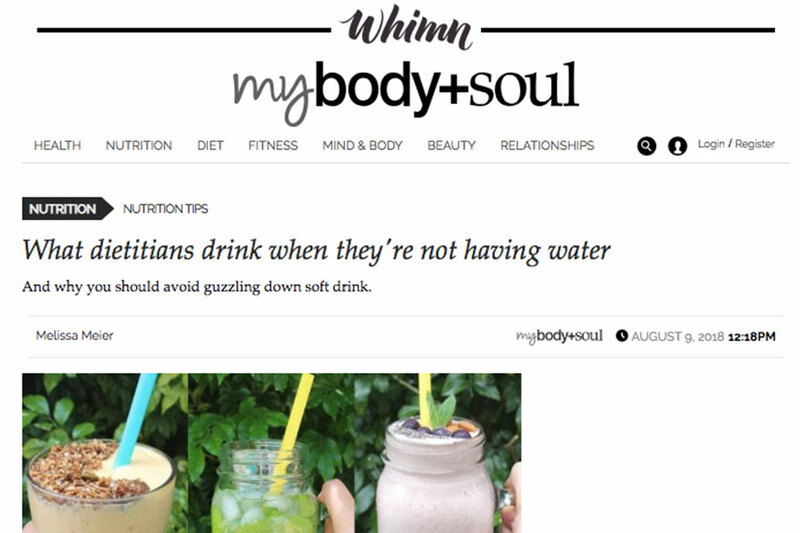 Because it’s so easy to forget to drink plain water when it’s cold isn’t it? We’ve all been guilty of it. Water and the hydration of our cells is key for energy and immunity. We can live for days without food and survive but our cells cannot function and communicate effectively without H20. 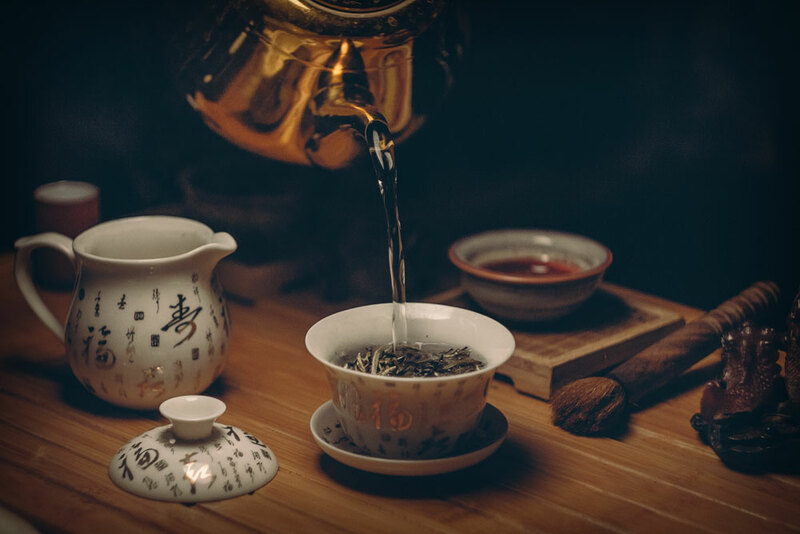 Stock up with some herbal (not caffeinated as the caffeine acts as a diuretic) teas in the cupboard. For life! As a nutritionist I will never let up on telling people to eat their greens and be creative with how they eat them. Blend them into soup or smoothies (aim to drink smoothies at room temp in winter so as to not chill the body or digestive system), steam veggies at night instead of eating salads, pop them in your eggy fry up at brekky, whatever and however is a great way to get those greens in. An important one to mention particularly at present when I see more supermarkets with Manuka sitting on their shelf. There is admittedly some clever marketing going on around the Manuka ingredient and therefore it’s easy enough to think you’re buying something with nutrition / medicinal benefit when the reality is you may not. Look out for the Manuka MGO (methylglyoxyl) potency stamp. 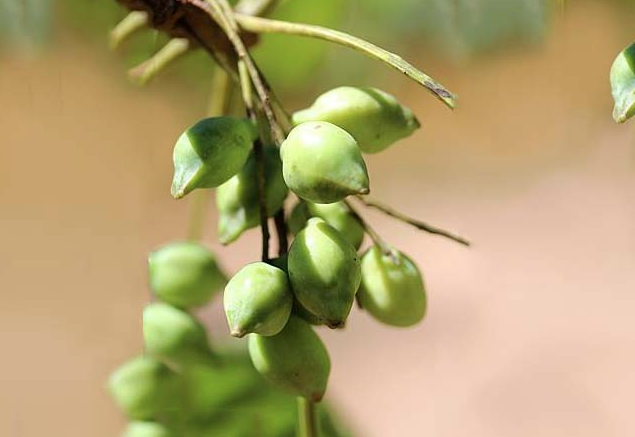 MGO is the main antibacterial ingredient in the Manuka. This stamp is the MGO number with a + sign on the packaging of good quality Manuka you may pick up. The numbers vary greatly. That which you can eat is generally between 100-400 MGO, higher than that have a strong medicinal effect 400 and above. Finally, our humble little root in the fruit and vegetable drawer, ginger. A circulatory stimulant (goodbye cold hands and feet during winter), digestive aid and powerful immune booster. 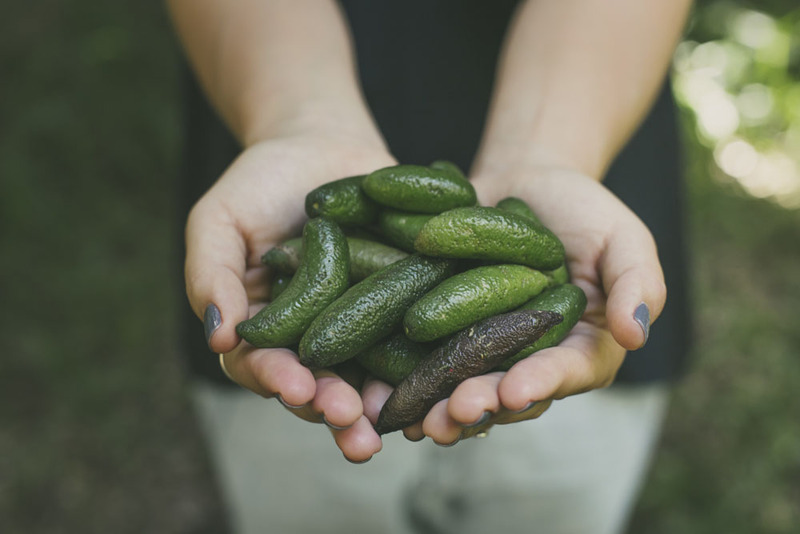 There are so many ways you can use this root in your cooking as a medicinal food. To top the list, warm and soothe the body, think curries, soups, carrot and ginger juices, or a simple ginger, lemon and honey tea. Banner image credit: Jacqueline Alwill for The Brown Paper Bag. 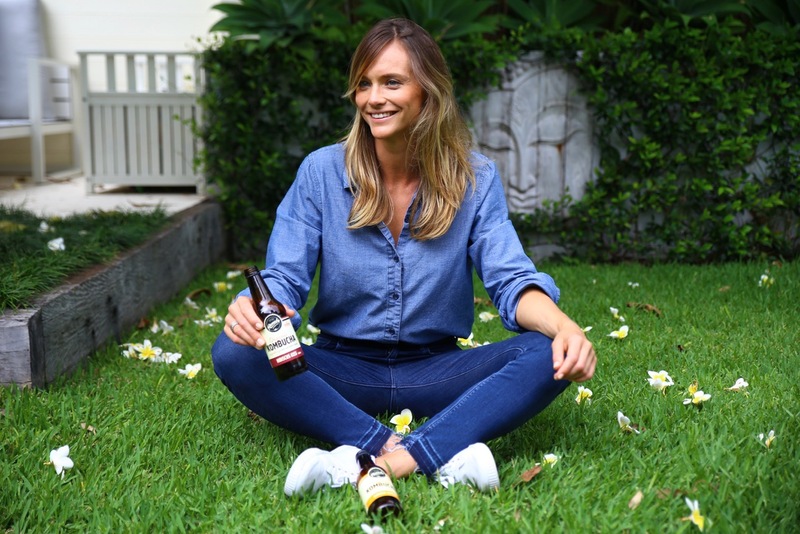 We are so proud to have the one and only Jacqueline Alwill on the Remedy Kombucha team as our official nutritionist to provide qualified and trusted advice on issues relating to the health and wellness benefits of kombucha. Jacqueline is a not only a nutritionist of course. She's also an amazing whole foods cook, loving mum and all round ace human. 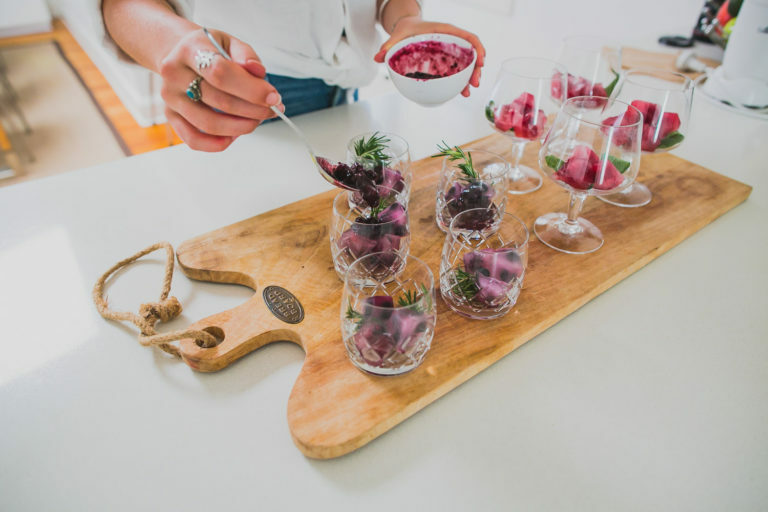 “I love giving people an experience in food, health and wellness that makes them feel excited, empowered and happy to start and continue a journey to optimal health”. Jacq is also the founder and director of The Brown Paper Bag, who offer a wide range of food and health related services and experiences. Her philosophy in health lays the foundations for the experience clients and the community have in her practice, workshops and the food they cook and taste. As it seems with so many inspirational entrepreneurs-with-heart, the seed for Brown Paper Bag was sown at a young age. 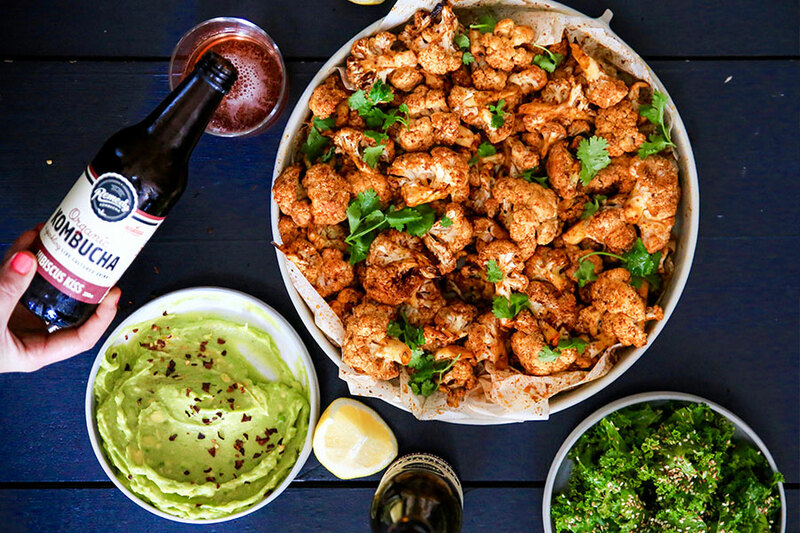 After establishing an early love affair with food, she found her family couldn’t keep up with her cooking ventures, so she would bundle little treats up in a brown paper bag and share them with her friends and neighbours. 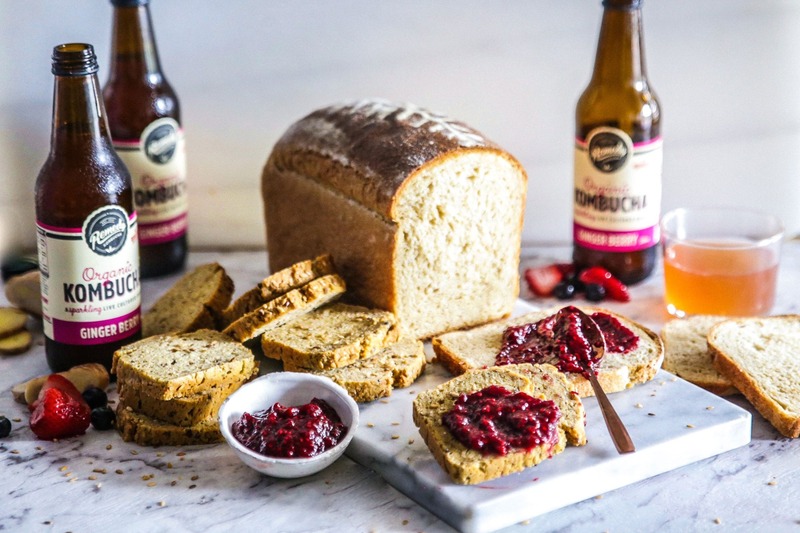 This concept is what brought The Brown Paper Bag to life and to its strength today: making delicious, wholesome food, enriched with wonderful nutrition and sharing the experience with those around you. 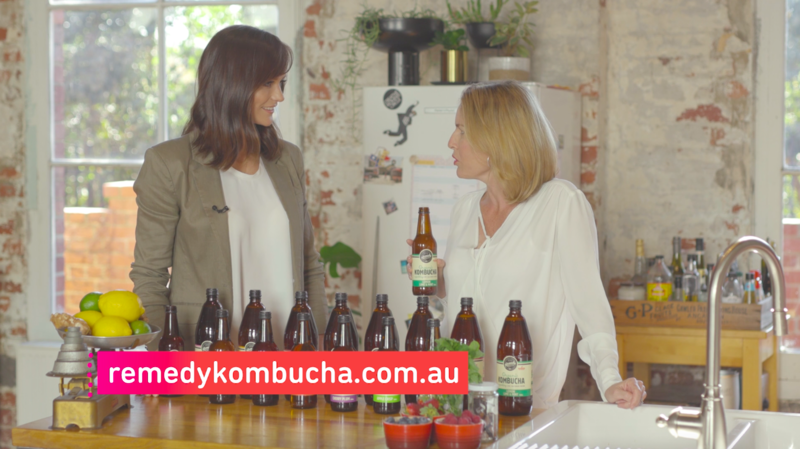 Jacqueline has worked on numerous campaigns in nutrition and health for The Cook’s Grocer, Tetley Tea, Brita, Breville Australia, Australia Beef (MLA), Jurlique, FIVE:AM Organics, Bioglan Superfoods and more. 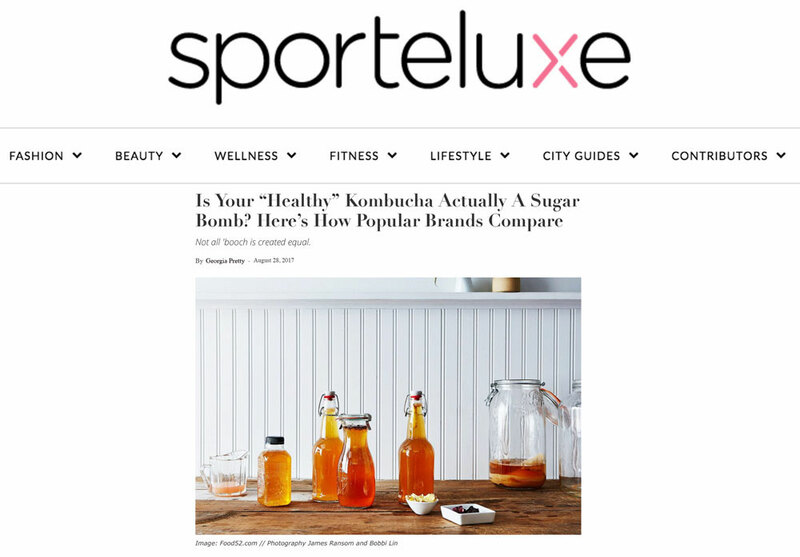 She is also a highly regarded media contributor, offering her knowledge and insight to to RUSSH magazine, Sporteluxe, Men’s Health, Cleo, Dolly, Good Health, Prevention, GMHBA, FMTV and more. 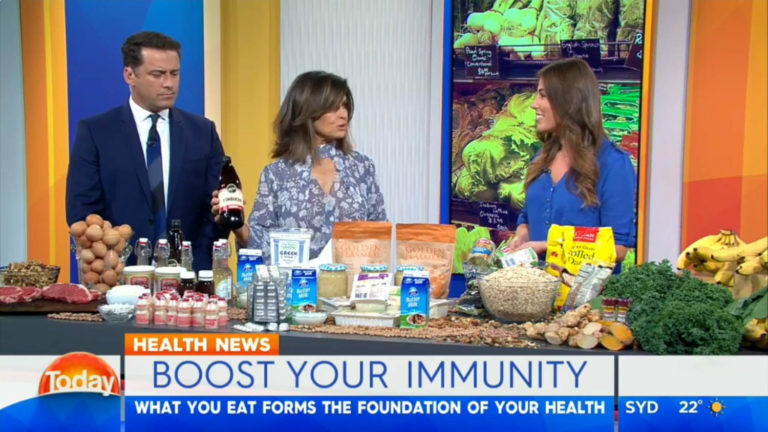 She also joins the panel on Channel Seven’s The Daily Edition, The Morning Show, The Project and Sky Business News frequently to spread the message of nutrition and health. 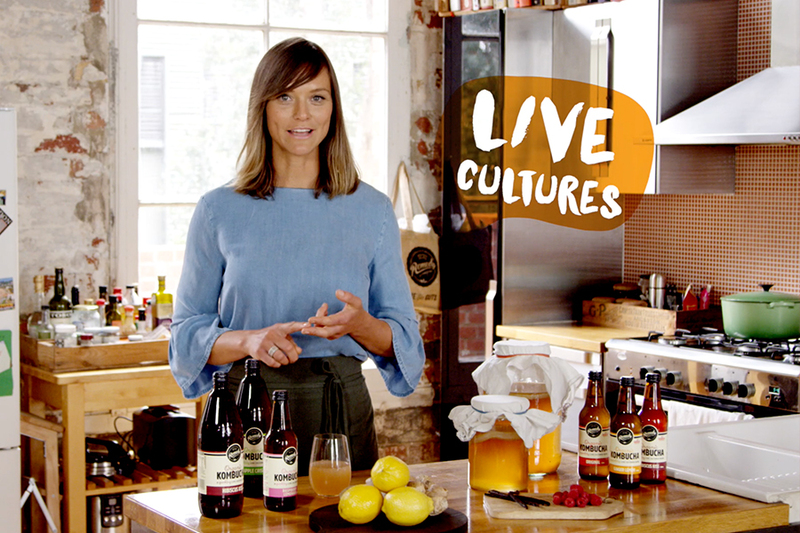 We look forward to sharing lots more from Jacq with you very soon, including insight into the health benefits of kombucha and other fermented foods, other nutrition advice and tips and - most imporantly - some of her delicious recipes!